We have the largest selection of Disney Checks, Classic Disney bank checks, Disney Personal Checks online. Save 70% off Disney bank checks including Mickey Mouse Checks,Tinkerbell Checks, Winnie the Pooh Checks, Cinderella Checks,Disney Legendary Villains Snow White and The Seven Dwarfs Checks Disney Villains Checks,Storybook Pooh Checks, Eeyore Checks, Piglet, Tiger, Disney Princess Checks, Muppets, Finding Nemo Checks, 101 Dalmations Checks, Sleeping Beauty at cheap, discount prices. New Checks coupons available for additional savings. We carry Disney Checks Side tear checks, address Labels with matching leather checkbook covers. 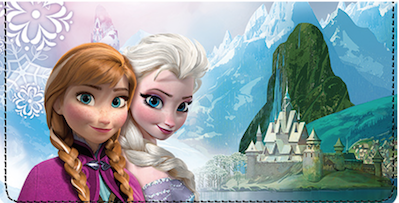 You can also shop for Disney 2014 calendars.